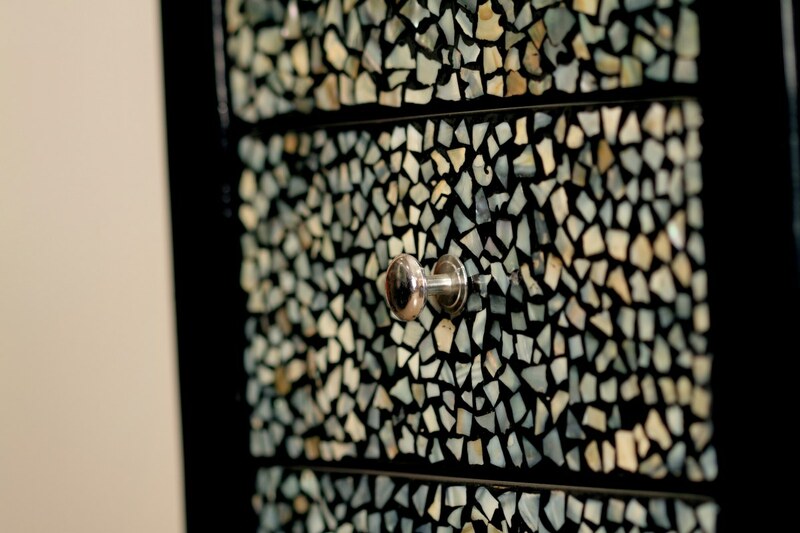 Envelop your keepsakes in this mother of pearl mosaic wooden cabinet. This wooden cabinet gleams from inlaid iridescence, which is offset by a sleek coffee polish finish. With five large and one small drawer, this piece will sit pretty in a chic home decor.